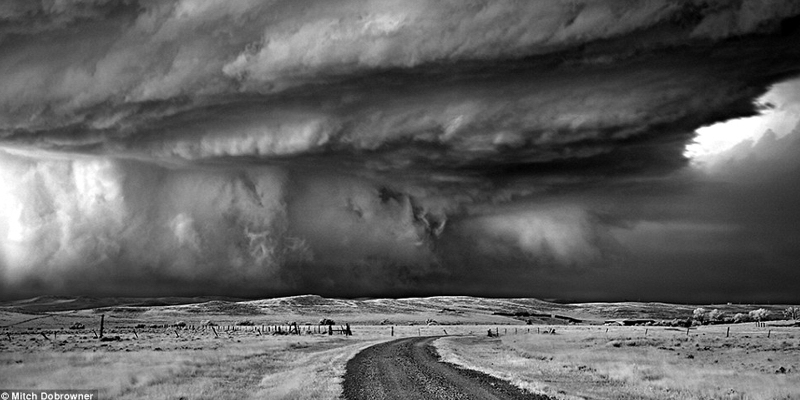 Taken by Mitch Dobrowner at Moorcroft, Wyoming. Hey! I’ve been there! I missed a couple days. I just ran out of steam. I think it was the probate paperwork, which took up much of last week. Suddenly things were so much more real. This year or so has really been tough. My friend Homer died. Then Beth. Then Mom. Then I spent so long in the hospital and on house arrest. Then Dad. I’ve had enough. NaBloPoMo was supposed to help me write more but I got caught up in the sad. The little light posts are nowhere near as satisfying. But the whole thing is too much. My games I play… I don’t have the energy for much. I used to play some during the day, more at night. Now if I manage a couple hours it’s too much. I’m tired. I hurt too much. And now my tum is being really annoying. I have much to do with sorting and packing. I need to get the house on the market. I need to find me a home and to move. It’s overwhelming. I think my NaBloPoMo ends here. I’ll write when I feel like writing, when I have something I want to say. 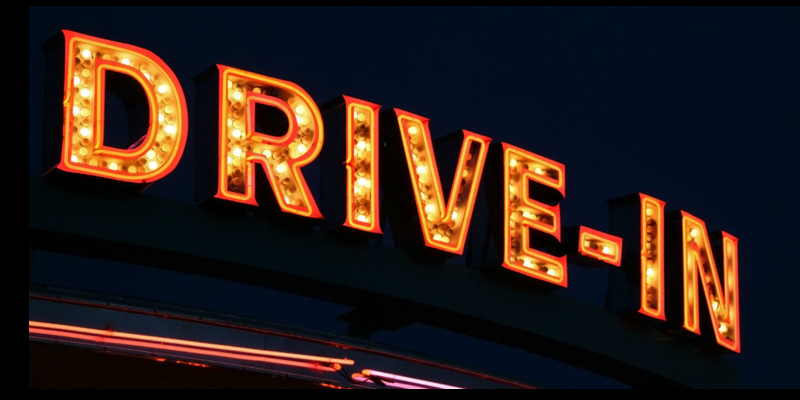 Did you go to the drive in theater with your family? I guess a few still exist today – seems sort of like a retro thing to do. But back in the day, we packed up the station wagon with a big brown grocery bag of homemade popcorn and bottles of diet pepsi and hauled the whole family off to the drive in. The only movie that I remember for certain was when I was around eight years old. It was a double feature and the first movie was a family movie that I can’t recall. I was supposed to go to sleep after the Disney-type feature. I had pillows and blankets and probably stuffed animals in the “way-back” of the station wagon. Instead, I saw my first adult movie. No, not that kind of adult. I remember it scared the hell out of me. I would have sworn I was younger but 1971 makes me eight! I know we went to a lot of movies at the drive in, but that’s the only one that made an impression. do you remember tv dinners? If I’m going to keep going with NaBloPoMo I need some better ideas than I have had the last few days. I’m blaming being sick. So, I’m trying a couple writing prompts from Reminisce Magazine. Rather vague writing prompts, such as today – memories about tv dinners. Thursdays were grocery store days in our family. I got to go shopping with my mom and along with going to the library, got to pick something special for lunch. This was before I went to school or when I was in Kindergarten on half days. Or holidays or summers. 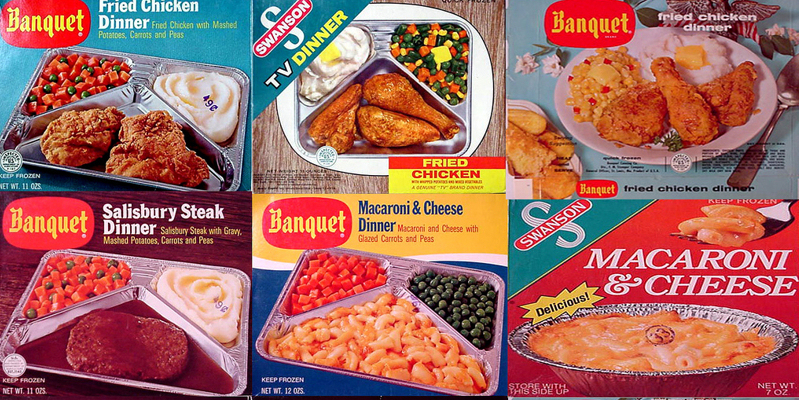 Do you remember when TV dinners were special? Were they ever special for you? My favorites were fried chicken or pot pies. Or pretty much any dinner with macaroni and cheese. It’s kind of hard for me to imagine now that TV dinners were ever “special.” Perhaps it was because they were different, a sort of novelty. We sometimes had them when Dad was out of town on business. They were special then perhaps because Mom wasn’t trying to force us to eat something like liver that she only ever made when Dad was gone and we all hated. Or maybe because we each got to choose something different. Remember how long they took to bake? At least half an hour and you had to care for them, uncovering this portion or stirring that. And we complain now about having to wait 7 minutes! I swear they tasted better than they do today. You’d think we would have improved convenience foods but even though there’s more variety, I don’t think they taste as good. I suppose nostalgia has a flavor all it’s own. I still think they taste better baked than microwaved. Author ZazzyPosted on November 18, 2015 Categories memories, nablopomo8 Comments on do you remember tv dinners? It’s an interesting thought. 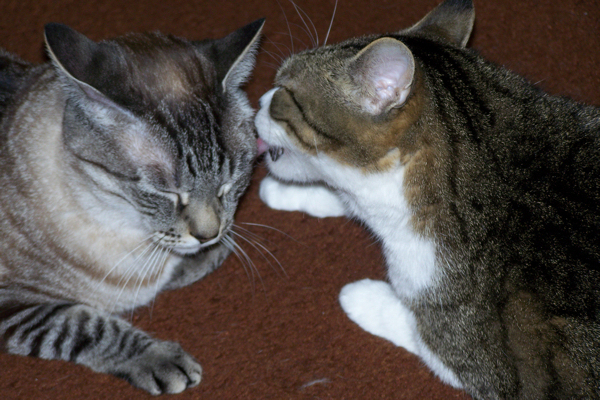 We pet lovers tend to think of our furry friends as our “children,” particularly if we don’t have real children. But what would they be if they could turn into humans? Charlie is clearly destined to be a sumo wrestler. Zoe, I think, would have to be a queen. With me tending to her every desire. Or perhaps a teenager. With me tending to her every desire. Growing up, we visited my grandparents farm in Michigan like every other summer. There were many good things about these trips to Michigan. You know, in addition to visiting the farm and petting the chickens. And the Dairy Barn, home of twisty ice cream cones. Stuckey’s. Home of the Stuckey’s Pecan Log. Nickerson Farms. A restaurant chain featuring real beehives behind glass. Vernor’s Ginger Ale!!! Vernor’s was a Michigan brand and I grew up with it’s spicy, gingery, not too sweet taste. You couldn’t get it outside of Michigan way back when. But recently, I was talking with my grocery store manager about why there is no diet ginger ale available, not just in local grocery but at Walmart or semi-local grocery or in Springfield as far as I’ve checked. And we talked for a while and I mentioned Vernor’s. And danged if he didn’t get it for me. The 7-up distributor had it so he’s stocked both diet and regular Vernor’s. Now I guess I have to hope enough people buy it that they keep it stocked. It really is better than other ginger ale.